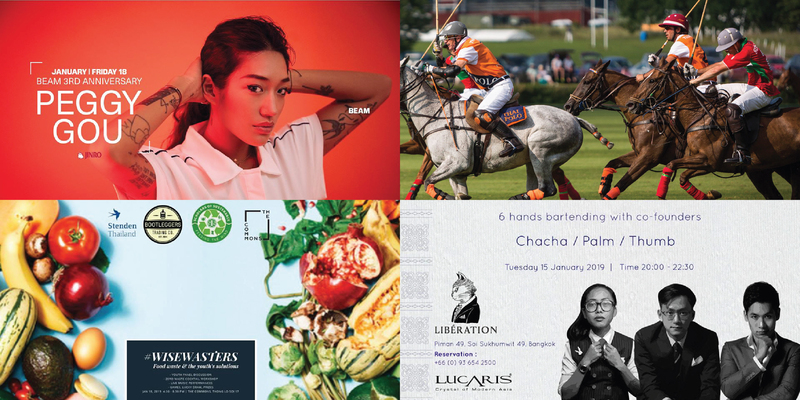 It’s the start of a new week, and we’re back with our best things to do this week roundup — aka the happenings you don’t want to miss. As pollution levels rise, you might want to start investing in filter masks to keep the fumes at bay — either that, or take a trip out of town. With the highly-anticipated Thai Polo 2019 — Asia’s most important equestrian tournament — making its return this weekend, there’s plenty of excuse to pop out of Bangkok for a bit, and enjoy the fresher beachside air. If you’re planning to stay in town, don’t fret, as there’s plenty of good stuff happening here too. 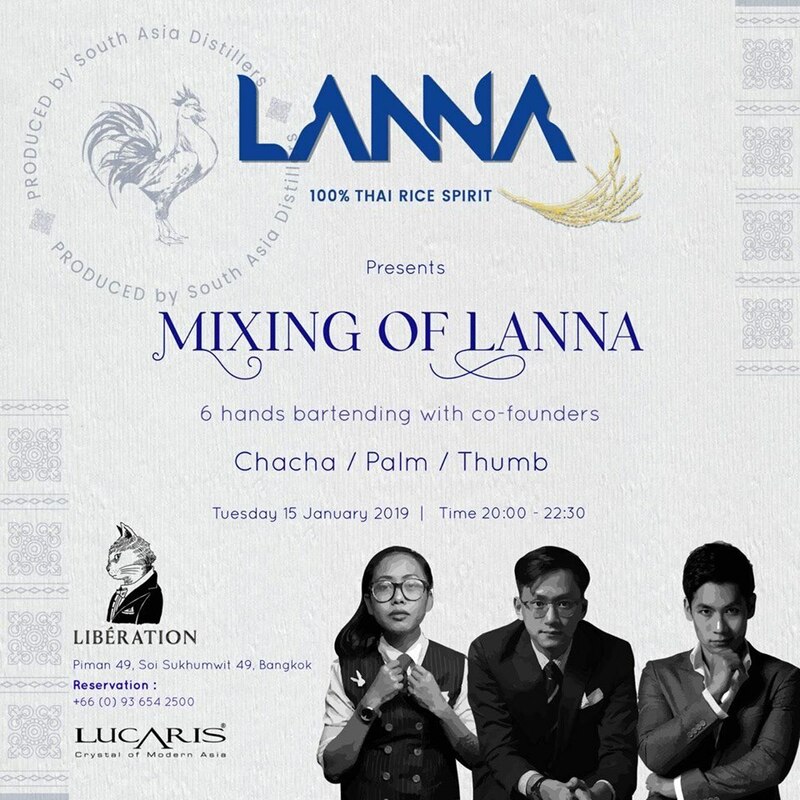 Big names in Bangkok’s mixology scene — cue Vesper/Backstage’s Palm, Rabbit Hole’s Cha Cha, and Kajin and Vapor’s Thumb — have launched their own bottle of spirit, Lanna, and the launch party takes place tomorrow! Scroll to see your plans for the week. Bespoke concoctions await at Libération, as the hip Bangkok bar celebrates the much-awaited launch of Lanna — a new 100% Thai rice spirit. Designed to represent Southeast Asia, the spirit was created by powerhouse mixologists Supawit “Palm” Muttarattana, Suwincha “Cha Cha” Singsuwan and Natakorn “Thumb” Changrew. Drop by the event this Tuesday for a taste of Thailand. 8-10:30pm, January 15. Libération. For more information, call 09 3654 2500 visit the official Facebook event page. 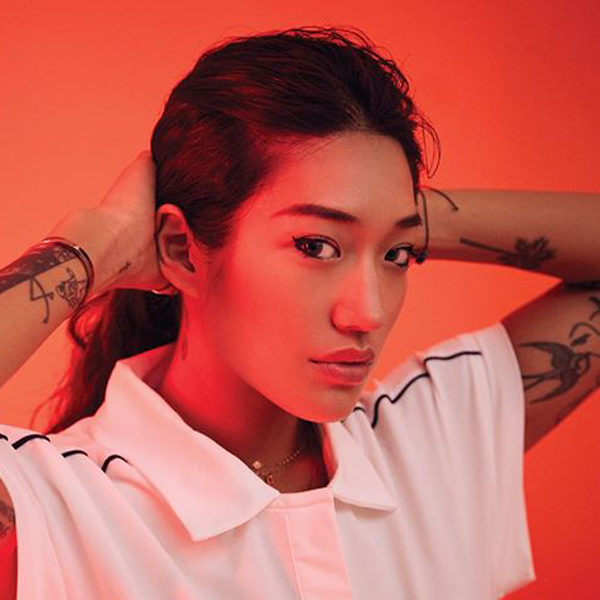 Celebrating its third birthday, Beam is inviting the Seoul-born, Berlin-based Peggy Gou to perform for the night. She’s joined on the main room line up by DJ Sweed and Deejai & Rabbit Disco. Expect an open bar until 11pm (offering beers and other standard drinks), as well as buy one get one free soju shots all night long. THB800 for tickets bought at the door. A VIP Dancefloor package at THB15,000 gets you ten entry tickets, along with two bottles of Johnnie Walker Gold Label (or equivalent), two Jinro Cocktail Shots Tray, and mixers. 9pm-2am, January 18. For more information, visit the official Facebook event page. 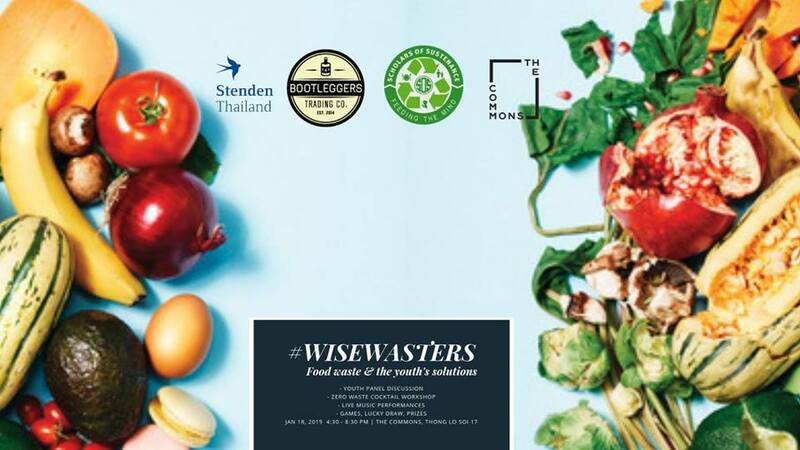 SOS Foundation and Stenden Thailand join hands to host a youth-lead conversation about food waste. Issues of sustainability and waste are brought up in through a series of fun activities, ranging from zero-waste cocktail workshops, to games and even lucky draw prizes. There will also be interesting panel discussions, as well as live music performances. 4:30-8:30pm, January 18. The Commons. For more information, visit the official Facebook event page. 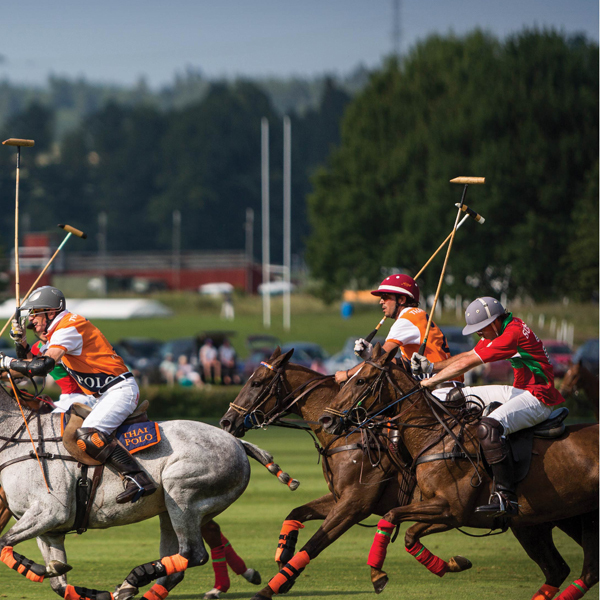 Thailand’s annual charity polo competition is back! B.Grimm Group partners with BMW (Thailand) Co., Ltd., for the ‘BMW-B.Grimm Thai Polo Open 2019’. One of Asia’s most important equestrian tournaments, expect players and guests from all over the world, including countries such as Malaysia, China and Hong Kong, along with local talents. All funds raised will go to support the Chitralada Vocational School. 12-8pm, January 19. Thai Polo and Equestrian Club Pattaya. To find out more, call 02 6514 0815, or visit thai-polo-club.com. A collaboration between the Kadeejeen-Khlong San Community Foundation, the uDDC, ICONSIAM, TOA and development partners. 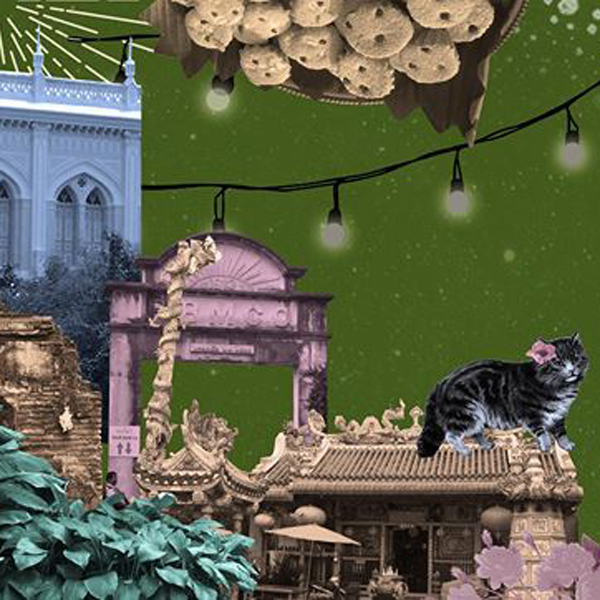 Expect great food, as well as arts and lights that reflect the cultural heritage of Thonburi. Entertainment includes Bangkok Swing Dance, as well as a screening of winning entries from the New York Film Festival at the Portuguese cinema. There will also be a series of hands-on activities such as tie-dye, paper-mache pig making, and frying your own traditional donuts. January 18 – 20. Princess Mother Memorial Park. For more information, visit the official Facebook event page.